This is a family favourite and is so easy to prepare. Rinse and pat dry the chicken. Salt and pepper liberally and allow to temper on a cutting board while you prepare the garlic. In a large ovenproof saute pan over medium heat, cook the onions, mushrooms and garlic in olive oil and butter, stirring occasionally, until lightly golden, about 10 minutes. 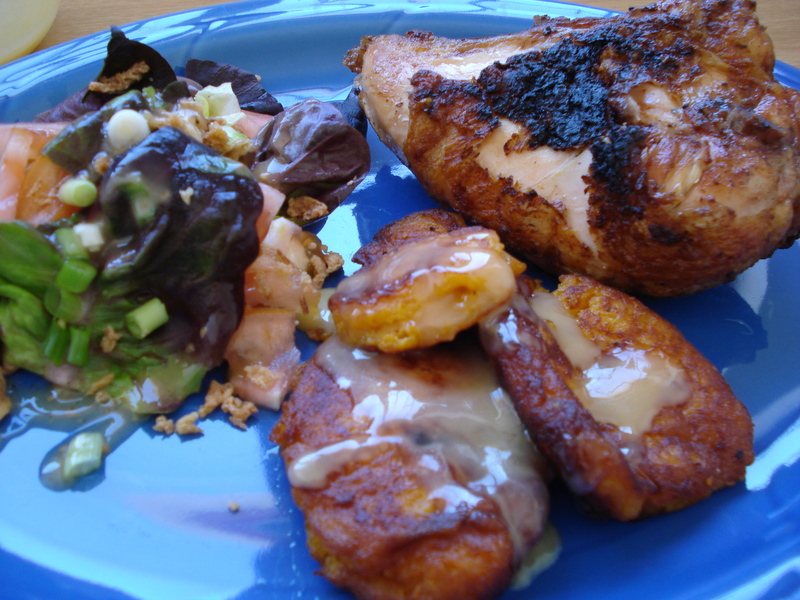 Increase the heat to medium high and brown the chicken until it is golden brown , about 5 minutes. Turn the chicken over, sprinkle on herbs. Turn the heat down and simmer for about 30 minutes until soft. The sauce can be thickened if needed. Serve it with rice and veggies. We celebrated my sister’s BIG birthday with a high tea. I made the flower arrangement in a teapot to enhance the theme. 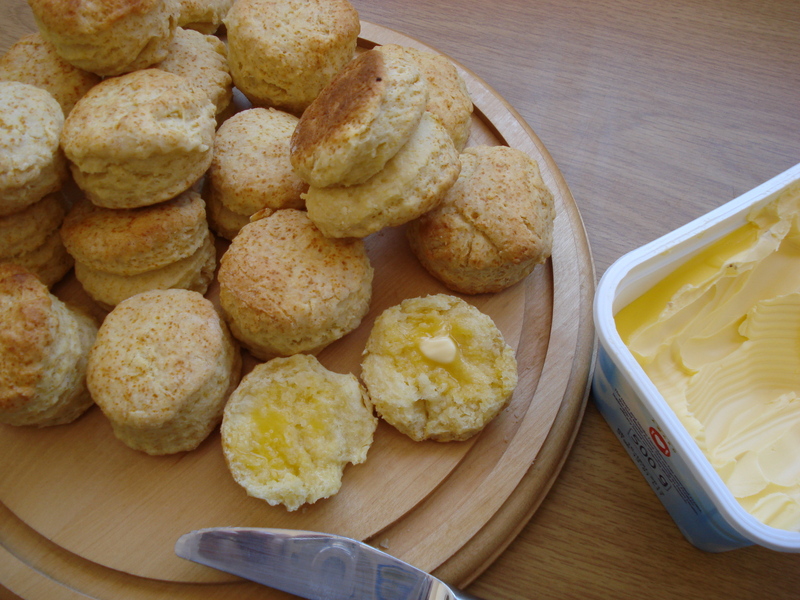 I decided to use the Edmond’s Scones recipe for this occasion and it was served with the lemon curd and cream. Mix lightly, press out onto floured surface until about 1 inch thick. Cut and bake at 220 for approx 12-15 mins, depending on size. That’s the basic recipe but you can add all sorts of things like: Bacon, onions, cheese and a pinch of curry OR Cheese, sundried tomatoes and herbs OR raisins and cinnamon etc. In the case of savoury ones I would press out the dough and instead of cutting into circles, just cut squares and then cut those into triangles and bake. Gives you a different shape and serve them piping hot with butter. My husband loved doing the tasting, but my biggest problem is to decide which of the 3 recipes I am going to use for Sunday! Today’s Scone recipe I got from a friend. I am quite happy with the results! Pre-heat the oven to 220 degree C. Combine flour, baking powder and a salt in a large bowl. 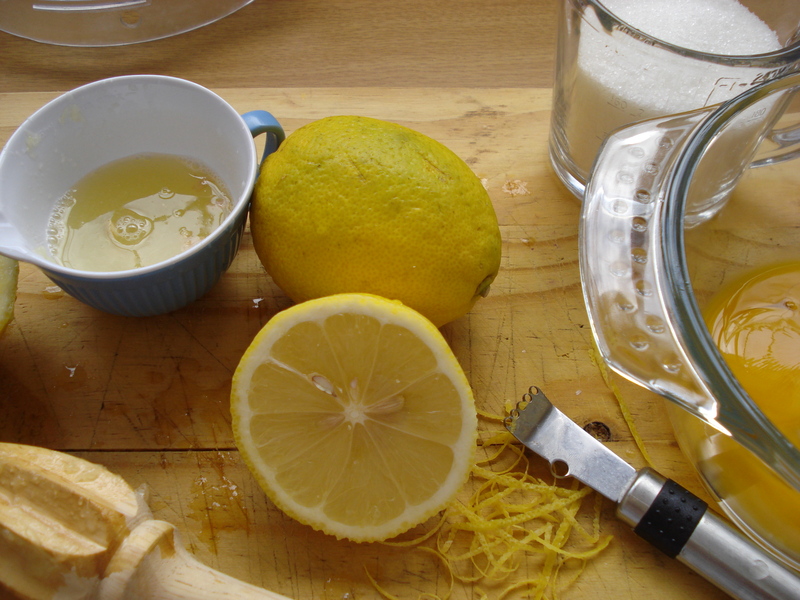 Using a fork, whisk egg, oil and milk in a jug. Add egg mixture to dry ingredients. Mix until just combined (the less you work the dough, the better), adding a little more milk if required. Turn dough onto a floured board and pat out until 2 cm thick. 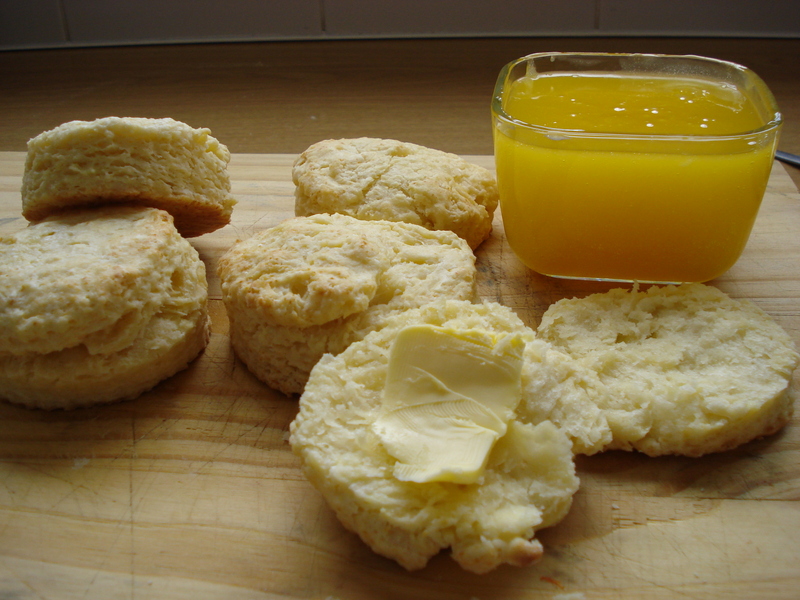 Fold the dough in half and cut out scones. Place on baking tray, allowing a little room for spreading. 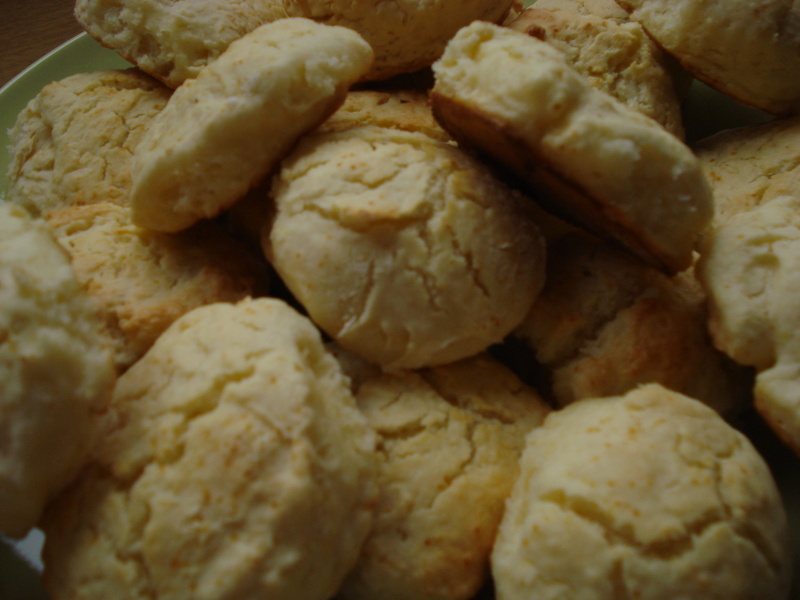 Bake scones for 10 minutes or until risen and light brown. 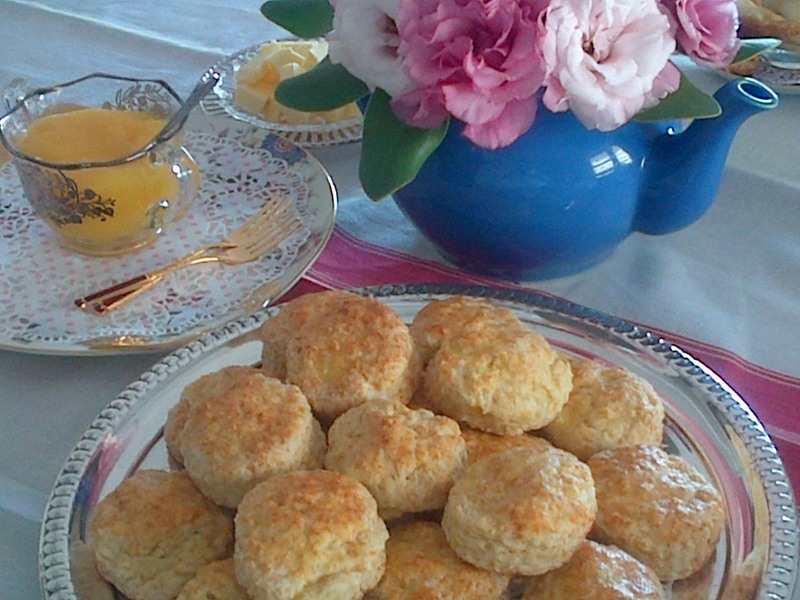 Serve scones hot with butter and jam. Baking scones is a bit of a nemesis to me! I never get them to rise enough or they leave an aftertaste in the mouth or they are just not perfect! My sister asked me to make her some scones for her birthday high tea on Sunday and oh boy the pressure is on. I’ve have tried the Edmond Scone recipe today and the results were not to bad at all. But I am not quite satisfied yet! So here goes! The challenge is on! 1 Sift flour, baking powder and salt into a bowl. 2 Cut butter in until it resembles fine breadcrumbs. 3 Add milk and mix quickly with a knife to a soft dough. 4 Knead a few times. 5 Lightly dust an oven tray with flour. 6 Press scone dough out onto this. 7 Cut into 12 even-sized pieces. 8 Leave a 2 cm space between scones. 9 Brush tops with milk. 10 Bake at 220 C for 10 minutes or until golden brown. I have made this in the microwave. I served it with freshly baked scones. My sister blogged this recipe a while ago on http://flippenblog.wordpress.com/2013/05/26/roast-lamb-and-farewell-lunches/ how to make Pumpkin Fritters with a creamy caramel sauce. I used some leftover Butternut. I served it grilled chicken and a salad. What a lovely Sunday lunch!